Candidate filing week ended Friday with 66 people declaring for 55 offices. Eight of those positions have two or more candidates including the race for City of Shelton Commissioner of Streets and Public Improvement which netted four candidates. Among the races that have two candidates is the Port of Allyn Commissioner District No. 2 seat. Ted Jackson and Houston M. Hamilton are vying for the position currently held by Jean Farmer who decided not file for re-election. Port of Shelton Commissioner Position No. 3 incumbent Kristy Buck is running unopposed. Port of Hoodsport Commissioner Position No. 2 incumbent Michael Petz is running unopposed. The Port of Grapeview Commission has two seats up for election and both have the incumbents running unopposed: John Anderson for District No. 1 and Glenn Carlson for District No. 2. The Port of Dewatto also has two commission seats up for election. Incumbent Richard T. Edwards is running unopposed for Commissioner District No. 1. Raymond Mow who was recently appointed to the Commissioner District No. 2 seat, is also running unopposed. Incumbents on public hospital district commissions are running unopposed. In Public Hospital District 1, Don Wilson for Position No. 2 and Gayle Weston for Position No. 3. In Public Hospital District 2, Tommy Thombs for Position No. 2 and Kaye Massie for Position No. 4. There are three seats up for election on the Shelton School Board. Incumbent Sally Brownfield is running unopposed for Director Position No. 1. Brian R. Major – who served on the Shelton School Board several years ago – filed for the vacant Director District No. 2 seat and is running unopposed. And incumbent Salley Karr is running unopposed for Director District No. 3. In the North Mason School District, incumbent Leanna Krotzer is being challenged by Mike Sammons for Director District No. 2 and Craig Patti (who served on the school board a few years ago) is the only person to file for Director District No. 5 – the seat currently held by Dinah Griffey. The Hood Canal School District has two open seats on its school board. Teddie L. Hamby and Gary Hedger face off for Position No. 4 – the seat currently held by Roslynne Reed. Hannah Paradise is running unopposed for Director District No. 1 – the seat currently held by Judi Woodard. The Grapeview School Board has three seats open this fall with Director Position No. 5 having two candidates. Incumbent Timothey Gero is being challenged by Casey Breeze. Incumbent Thomas Anderson is running unopposed for Director Position No. 1 and incumbent Pamela Berger is running unopposed for Director Position No. 3. Mary M. Knight School Board Director Position No. 1 incumbent Leroy Valley is being challenged by Jennifer Phipps while MMK Director District No. 2 incumbent Shawn Donnelly is running unopposed. The Southside School Board has three seats up for election and the incumbents are running unopposed. Andrea Bichsel for Director Position No. 3. Don Pogreba for Director Position No. 4. And Edward Haigh for Director Position No. 5. No one filed for Fire District 1 Commissioner Position No. 1. Incumbent Nancy A. Montgomery is running unopposed for Fire District 3 Commissioner Position No. 2. Incumbent Dean Hirschi is running unopposed for Fire District 4 Commissioner Position No. 1. In Fire District 5 (Central Mason Fire & EMS), incumbent Tom Nevers is running unopposed for Commissioner Position No. 1. Incumbent Tim Whitman is running unopposed for Fire Distrct 6 Commissioner Position No. 1. Incumbent Shellty George is running unopposed for Fire District 9 Commissioner Position No. 2. Incumbent Kelley Frazier is running unopposed for Fire District 11 Commissioner Position No. 3. The race for Fire District 12 Commissioner Position No. 3 has Albert (Buck) Wilder challenging incumbent Nicholas Jones. Incumbent Dane Hansen is running unopposed for Fire District 13 Commissioner Position No. 3. In Fire District 16, Carly Bean is running unopposed for Commissioner Position No. 2 – the seat currently held by Adrienne Amar. 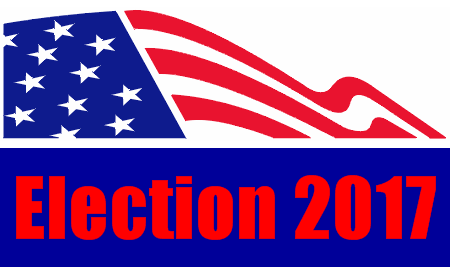 The Fire District 17 Commission’s two seats have incumbents running unopposed. Pat O’Brian for Position No. 2 and Joel R. Carlson for Position No. 3. In Fire District 18, incumbent Ken Weaver will face Michael Mott for Commissioner Position No. 1. And Gail R. Cochran is running unopposed for Commissioner Position No. 2. The North Mason Regional Fire Authority has two positions on its commission up for election. Incumbent Brook Quigley is running unopposed for Position No. 2 and incumbent Dan Kewish is running unopposed for Position No. 3. Incumbent Linnie Griffin is running unopposed for Belfair Water District Commissioner Position No. 3. On the Hartstene Pointe Water Commission, Andrew Hospador is running unopposed for Position No. 1 and Robert Scarola for Position No. 3. Incumbent Sarah Carlson is running unopposed for Trails End Water District Commissioner Position No. 3. No one filed for the three positions on Cemetery District 1 Commission. Special three-day filing periods will likely be held for those positions where no one filed. The Primary Election is August 1st. The General Election is November 7th.